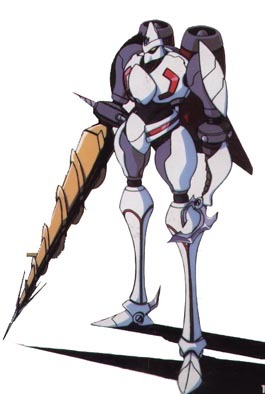 Shin Getter Robo has some of the strongest attacks in the game, Shin Shine Spark and Stoner Sunshine. 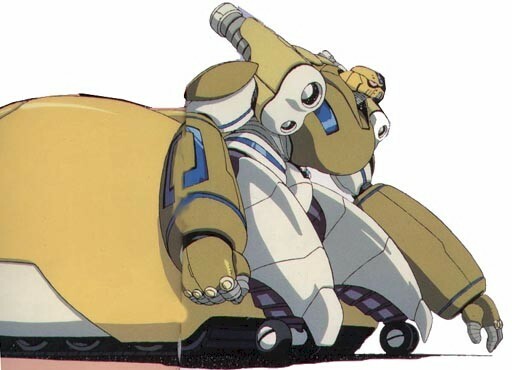 Unfortunately, It is an absolutely MASSIVE EN hog (Getter Beam has a cost of 30 EN, Shin Shine Spark has a cost of 70 and Stoner Sunshine has a cost of 90) You can sort of get around this by using Shin Getter 2 and 3, but Shin Getter 1 is the only one who can really do anything against flying enemies (Guess what I'll be fighting for a majority of the late game!) 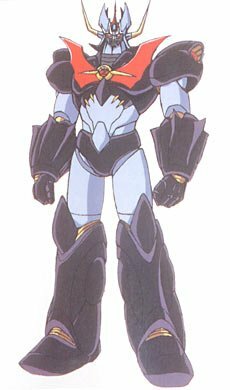 Also, unlike Mazinkaiser, you need to build up Will in order to use the strongest attacks. Although by this point in the game, building up Will is not difficult at all, just SP heavy. Finally, one last thing I want to mention about these two giants. 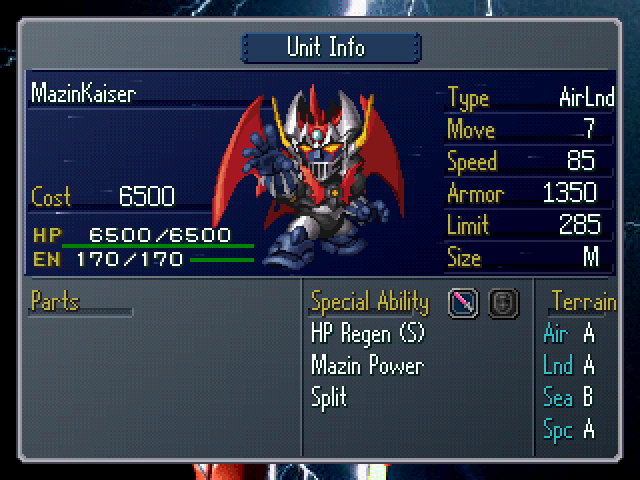 These are the stats for Mazinkaiser when you get him. 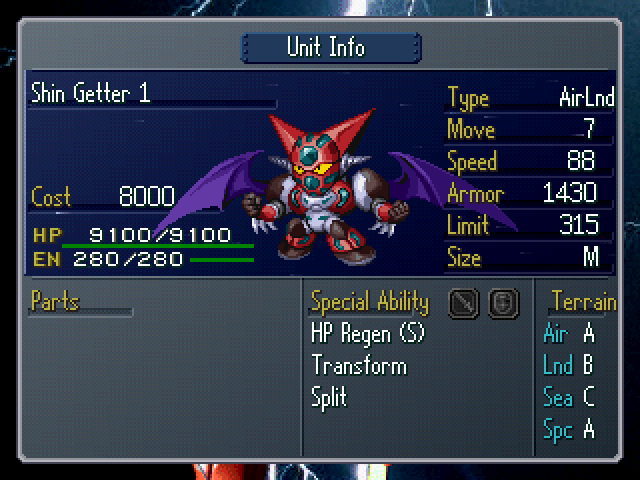 Here are the stats for Shin Getter Robo when you get him. Notice the massive difference between the two? 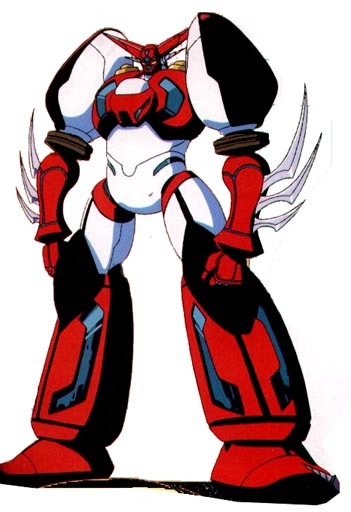 That's because Getter Dragon's upgrades will carry over to Shin Getter Robo. You might recall me dumping a massive amount of upgrades onto Getter Dragon before the route split. This is the reason why. MazinKaiser, however, does not get this treatment since you still have Mazinger Z sitting around in your hanger. This is the one downside I was talking about. I've been holding back on upgrades for Mazinger Z since I knew they wouldn't carry over to MazinKaiser. Luckily I'm sitting on over half a million funds, so it won't take long to bring it up to snuff. I also want to talk a little bit about the G-Bit upgrade. 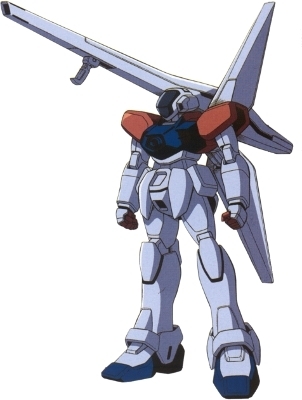 Both the Gundam X and Gundam DX now have access to the G-Bit attack, which is very powerful, but consumes EN. Unfortunately, you have to unequip the Divider module from the GX in order to use them. That isn't the real treasure though, the best thing about this is that Tifa is now a sub-pilot for Garrod. in addition to being an extra SP caster, she has Zeal which is the Spirit that allows a unit to move twice in a single turn. This allows me to move and shoot the TSC in the same turn so I no longer have to line the shot up before hand to use it. This is a godsend since the TSC is usually your best bet for doing some of the later Skill Points in the game.